In an effort to reduce dramatically an unsightly and ecologically problematic abundance of unused pixels littering our nation’s computer desktops and floating in cyberspace, the EFF Pixel-Recycling Program for 2018 will be rolled out this Sunday. 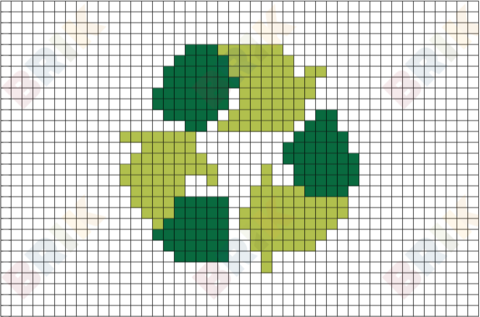 Citizens are encouraged to bring or send their surplus pixels to designated locations for ecofriendly disposal/re-use. Sponsored by the nonprofit Electronic Frontier Foundation (EFF), the program’s goal is to help pixel consumers — especially high-end users such digital-image, digital-video, and digital-music creators and distributors — to become more responsible cyber-citizens and help slow down global warming. To qualify for recycling, all unwanted items must be contained in sustainable packaging such as Acrobat PDF and Photoshop files; TIFF, PNG, and JPEG files are also acceptable. (At the present time the program can’t accept GIFs, due to legacy architecture issues.) … In the coming years EFF hopes to recycle unused pixels from MFA students at art schools around the world, which the EFF Data Analysis Board considers, cumulatively, one of the world’s largest stockpiles of useless high-resolution imagery. Cohn added that the EFF is working with both Apple and Microsoft to develop improved delete functions that will automatically recycle pixels, rather than simply discarding them. At present Apple’s OS X calls this function ‘Trash,’ while in Windows it’s known, ironically, as the ‘Recycle Bin.’ “That Windows icon is actually quite misleading,” says Cohn. “At least Apple’s ‘Trash’ is straightforward.” She continues, “What digital-device users don’t realize, however, is that from the beginning of the digital era till now, throwing something into either the OS X ‘Trash’ or the Windows ‘Recycle Bin’ has been no different than tossing an empty Pepsi can or yesterday’s newspaper into any old garbage can that’s handy. Sure, you’re not dumping it on the street, so you’re not littering. But you’re just sending your file to the cyberspace equivalent of a landfill.